Save 15% on our new Histronauts titles using the code HISTRO15 at checkout. Minimum order value £10. Offer valid until 30 September 2017. Orders will be dispatched after 1 October 2017. Receive 15% off your whole basket if you order additional titles with this code. All titles ordered will be despatched together in October. 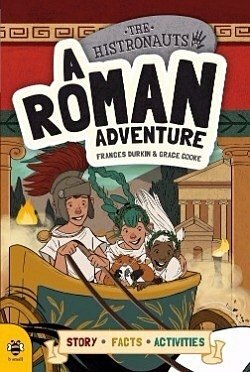 When the Histronauts travel back in time to the Roman Empire they’ll need your help to uncover the secrets of the past. Explore the Roman baths, try on the armour of a legionary, make a sacrifice at the temple of the gods, ride in a speeding chariot and meet ferocious gladiators. An exciting mix of history, facts and activity! 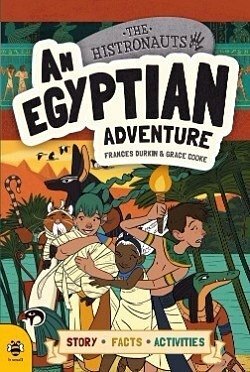 When the Histronauts travel back in time to ancient Egypt they’ll need your help to uncover the secrets of the past. Explore dazzling tombs, decipher hieroglyphics, unwrap the art of mummification and learn how the gods ruled over the dead in the afterlife. An exciting mix of history, facts and activity!